Workforce Solutions Cameron offers several work-based training options for individuals seeking to gain practical work experience and enhance their career opportunities. Work-based training exposes individuals to actual work situations. Trainees learn about a job by shadowing an employee in a real work environment by actually working on a job under the guidance/supervision of a mentor. And, employers get to assess a trainee's potential for current or future job opportunities. Work experiences are for individuals with barriers to employment, who are chronically unemployed, or have an inconsistent work history, and are designed to assist in establishing a work history, demonstrate success in the workplace, and develop the skills that lead to entry into and retention in unsubsidized employment. Paid and unpaid, time-limited work experiences are available in the public, private, or nonprofit sectors. For youth, paid and unpaid work experiences include academic and occupational education as a component of the work experience, which may include internships and job shadowing, summer jobs, and OJT. For more information please visit one of our Workforce Solution Cameron centers. Apprenticeship training helps prepare and train individuals for a career in a skilled trade or craft. It combines supervised on-the- job training with job-related, classroom instruction to teach the practical and theoretical aspects of a highly skilled occupation. Paid on-the- job training, sometimes referred to as “earn while you learn,” helps individuals gain entry into a high-wage occupation while avoiding large student debts. Visit http://www.mynextmove.org/find/apprenticeship for more information. Internships are a form of experiential learning that integrates knowledge and theory learned in the classroom with practical application and skills development in a professional setting. Internships give students the opportunity to gain valuable applied experience and make connections in professional fields they are considering for career paths; they give employers the opportunity to guide and evaluate talent. Internships can be paid or unpaid, and you may or may not receive academic credit for performing the internship. For more information please visit one of our Workforce Solution Cameron centers. OJT provides unique opportunities for job seekers who already have some job-related skills, including the opportunity to “learn as they earn.” By participating in training as an employee, the participant acquires new skills and knowledge and receives the same wages and benefits as current employees in the same or similar positions. For more information please visit one of our Workforce Solution Cameron centers. Community service provides employment and training activities through unsalaried, time-limited, work-based positions in the public or private nonprofit sectors. Community service programs contain structured, supervised activities that are a direct benefit to the community and are designed to improve the employability of participants who have been unable to find employment. For more information please visit one of our Workforce Solution Cameron centers. At Workforce Solutions Cameron we offer workshops to help you become job-ready and also a more marketable, better employee. With over 35 years of combined experience, our instructors are committed to equip you with the knowledge and resources you need to thrive on the workplace. Our workshops are free and open to the public. Our Soft Skills workshops target workers of all ages and industries to set them for success on the job. This course is endorsed by the local chapter of the Society for Human Resource Management. Upon completion of the 20-hour course, you get a certificate which you can present at job interviews and add to your résumé. If you're interested in attending an upcoming Soft Skills event, Click Here to view our calendar. Our Job Readiness workshops prepare jobseekers of all ages and walks of life to successfully seek and obtain employment. If you're interested in attending an upcoming Job Readiness workshop, Click Here to view our calendar. Navigating the challenges of job search is easier when you are not alone! Job Club is a support network for jobseekers, where they can make connections, help and be helped by peers on their job quest. If you're interested in attending an upcoming Job Club workshop, Click Here to view our calendar. Workforce Solutions Cameron offers financial assistance to support training in targeted/high demand occupations. Funding is available through the Workforce Innovation and Opportunity Act (WIOA). WIOA was created to assist youth and adults access employment, training and support services. The goal of WIOA is to enable individuals to acquire the necessary skills or credentials to obtain and retain full time employment. In an effort to ensure that individuals are prepared for current and emerging careers, training and employment services are coupled with essential supportive services to yield successful workforce outcomes. Individuals who qualify to receive financial assistance from Workforce Solutions Cameron must use an eligible training provider and program listed on the statewide Eligible Training Provider System (ETPS). To view and download the ETPS list, please click on the link below. Click Here to view and download the ETPS list. Workforce Solutions Cameron is here to assist you if you want to begin your journey to career success. The first step is to attend one of our free WIOA Orientations. These orientations provide an overview of the program requirements including details on program eligibility and participation, approved training programs, and training providers. Orientations are offered every Wednesday at 10:30 a.m. in our Workforce Centers. Once you have attended an orientation, have a chosen a program and a training provider, and are committed to meeting program expectations, you can fill out and submit a WIOA application online. Fill out and submit your WIOA application online. The Workforce Innovation and Opportunity Act (WIOA) is a federal law that helps youth and adults access employment training and support services. It also helps match employers with the workers they need. Don't know how much money you will need to earn in the future? Don't know which occupation to choose? No problem! Below are three options to help you select the right career for your spending needs. 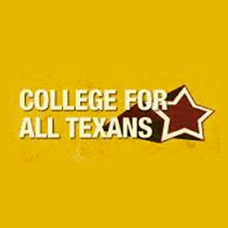 Texas On Course creates pathways to post secondary and career success for Texas students by providing best in-class online resources and strengthening advisory and support networks to students, parents, and counselors. Texas Career Check, a multi media career information system, is designed to help students and job seekers interactively address education and career exploration questions. It contains detailed O'NET occupational characteristics data and Texas state and regional labor market information including wages and job projections, employer contact lists, and over 320 occupational videos. WE DESIGN AND DELIVER WORLD-CLASS STUDENT SUPPORT PROGRAMS. Educations to meet the needs of a dynamic and fluid economy. To meet this community need, Workforce Solutions Cameron is committed to providing access to timely, accurate, and relevant labor market information about our region. We provide this information free of charge and can work with you, one-on-one to determine how to use data to identify and capitalize on opportunities in the workforce. A variety of labor market information is available through this site and through your nearest WFS Cameron Workforce Center.